Lionel Cottet was born in Geneva in 1987 and studied with François Guye at the city’s Conservatoire as well as with Clemens Hagen at the Salzburg Mozarteum, with Thomas Grossenbacher at the Zurich University of the Arts and with Joel Krosnick, the long-serving violoncellist with the Juilliard String Quartet, at New York’s Juilliard School of Music. 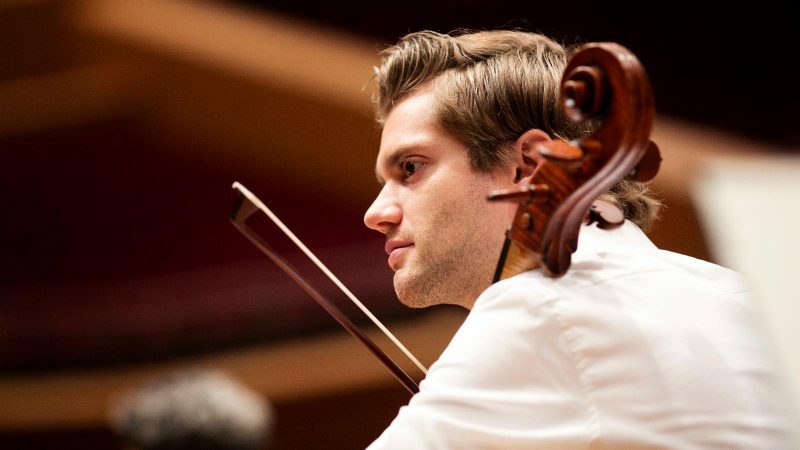 Among the many international competitions at which he has won first and second prizes are the Witold Lutosławski Competition in Warsaw, the Johannes Brahms Competition in Pörtschach, the Dotzau Competition for Young Violoncellists in Dresden and the Swiss National Competition. He held a Leonard Rose Cello Scholarship from the Juilliard School and in 2011 received the Swiss Ambassador’s Award. Among the major concert venues where Lionel Cottet has performed are London’s Wigmore Hall, New York’s Alice Tully Hall, the Berlin Philharmonie, the Warsaw Philharmonic and the Zurich Tonhalle. As a soloist, he has performed with the Russian National Orchestra, the Academy of St Martin in the Fields, the Orchestre de Chambre de Lausanne and the Orchestra della Svizzera Italiana, to name only the most important. He is particularly fond of performing chamber music and has appeared alongside artists of the eminence of Itzhak Perlman, Mitsuko Uchida, Clemens Hagen, Nobuko Imai, Arnold Steinhardt and Pierre Amoyal. He also appears regularly in partnership with the pianist Louis Schwizgebel and has performed in this capacity at many major festivals, including the Marlboro Festival in the United States, the Verbier Festival in Switzerland, the Bergen Festival in Norway, the Menuhin Festival in Gstaad, the Davos Festival, the Olympus Festival in St Petersburg and the Septembre Musical in Montreux. His world-premiere recording of Bernhard Romberg’s Violoncello Concerto op. 3 was highly praised. Lionel Cottet plays on a violoncello made by Jean-Baptiste Vuillaume in 1852. Since February 2016 he has been the principal violoncellist with the Bavarian Radio Symphony Orchestra.